Ends on Fri, November 16 2018 7:23 PM EST. “D&D 5e and Pathfinder Compatible Fantasy RPG Adventure. 14-DAY Campaign Based on The Short Stories of EDGAR ALLEN POE. For Levels 1-20. You may indeed find me mad, but I assure you that this unique project has been planned carefully. Years in the planning stages and putting it together slowly, piece by bloody piece since June of this year, In short, what I have planned for you is a fantasy, swords and sorcery adventure campaign with underlying tones based on the macabre writings of Edgar Allan Poe… But make no mistake, this 2-week adventure campaign is not based in the 1880’s but will fit right in as a horror-filled and deeply haunted fantasy roleplaying game adventure suitable for D&D 5e and Pathfinder. The adventure starts off with the party receiving a mysterious and unsolicited package containing a book, a letter (not shown here) and… an INVITATION. This invitation is written by the Lord of Ravenscroft Manor himself, LORD RODERICK RAVENSCROFT. This invitation is for the adventurers to attend his masked ball at his castle, and requests that the party attend this gathering as an opportune time to meet all 13 members of The Ravenscroft Family. The party’s quest is in two parts. One is to act as fantasy ghost hunters to rid the castle and family members of the numerous ghosts, ghouls, ghasts, wraiths and spectres that have been plaguing them. The second part of the adventurer’s quest will be for them to act as investigators regarding a heavily contested LAST WILL AND TESTAMENT. Penned by the now deceased Robaire Ravenscroft, nearly the entire family has vehemently contested this will and testament with the culprit being the twin brother of Robaire, and the new lord of the castle, Roderick Ravenscroft. Disclaimer: I’m a freelancer on Dark by Dezign’s upcoming project, HOW TO CREATE YOUR OWN FANTASY RPG ADVENTURES AND SELL THEM. Ghosts of Castle Nevermore is the main adventure designed for the D&D 5e and Pathfinder 1e systems. It covers 14 nights of ghost stories that lead to encounters in Castle Nevermore. The player’s Investigator Guidebook gives the PCs a resource to keep this detailed storyline/NPCs/events organized without losing precious details. Aroghast’s Spirit Summoning Grimoire offers players an additional resource to combat the undead featuring details about how to deal with specific ghosts and encounters and more. Mrs. Butterburr’s Famous Cookbook and Illegal Nightly “Castle Nevermore” Itinerary is a different type of immersion as it encourages the GM and players to cook meals to match those eaten in the course of the story as an opportunity to really taste this world. The Last Will and Testament of Robaire Ravenscroft is yet another player resource that helps build the storyline by going into depth about what the family of ghosts are fighting over. Which brings up the series of 13 audio files that tell these ghost stories. The sample is over 9 minutes. Assuming each story is a similar length, that’s nearly 2 hours of atmosphere and setup. This game will combine elements of sword and sorcery, Edgar Allen Poe, and a haunted castle with a highly immersive selection of books, keepsakes, and meals. Ghosts of Castle Nevermore embraces the open elements of, not only, the D&D 5e and Pathfinder 1e OGLs, but also the public domain, specifically the works of Edgar Allen Poe. By combining these open sources, Dark by Dezign is creating a unique experience in gaming. Check out the campaign for many more details and a variety of samples. You can find examples of their work on the Open Gaming Store. This crowdfunding campaign ends on Friday, November 16 2018 7:23 PM EST. You can support this Kickstarter campaign here. Ends on Thu, November 15 2018 7:05 PM EST. “An all-in-one book of 5e compatible material! 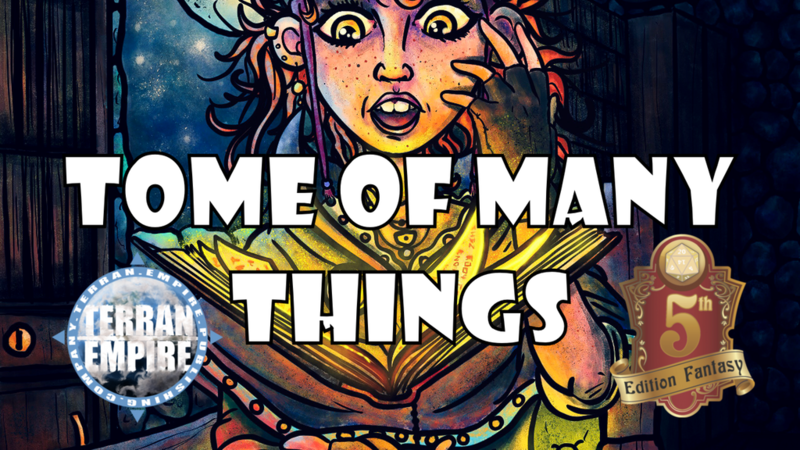 The Tome of Many Things will be offered as a full-color, bookmarked PDF or as a high-quality softcover collector’s edition (with a variant cover art)! Blood Mage (New Class) – Deviant and daring, a Blood Mage rules others through the power of Blood, and cares only to release it from its fleshy prison in the most violent of ways. Path of the Battlerager (New Barbarian Archetype) – Village conscripts and veteran soldiers alike panic at the sight of heavy armored berserker warriors! Way of the Weightless Foot (New Monk Archetype) – Gravity defying martial arts! Trap Smith (New Rogue Archetype) – A master of creating and disarming complex traps, a Trap Smith always has the right tool for the right job, especially if that job is maiming or killing unwanted intruders. Vanguard (New Class) – A front-line warrior who excels in both taking and dealing out damage with explosive attacks and adrenaline-fueled abilities. Back to Back (Teamwork): You gain +3 to your AC when you find yourself flanked by an opponent and if you are adjacent to a friendly creature who also has this feat. If you are adjacent to a friendly creature who does not have this feat, the bonus is reduced to +1. Deadly on the Ground (Prerequisite – Proficiency +4 or higher): You no longer suffer disadvantage to attack rolls while you are prone. Overflowing Font (Prerequisite – Sorcerer level 4 or higher): You add your proficiency bonus to your total amount of Sorcery Points. Sick Stick -Rare (300 gp) This “stick” is actually a carefully compressed length of wood pulp and dried botanicals that are burned similarly to a stick of incense. Once lit, the smell takes approximately 1 round to fill a 30-foot area. The smell given off by a sick stick is extremely foul, and any living creature who comes within 30 feet of a burning stick is subject to a Constitution saving throw against a DC 15. On a failed save, the creature gains disadvantage on attack rolls and ability checks as long as they stay within 30 feet of a burning stick but no closer than 15 feet. If they move closer to the stick and come within 15 feet, they are subject to another Constitution saving throw against a DC 18. A failed save here gains the creature -2 Strength and Dexterity due to muscle spasms and dry heaving, as long as they stay within 15 feet of the burning stick. If any of the saving throws are successful, the creature is immune to that sick stick’s smell only, as each stick is composed of slightly different concentrations of ingredients. Gurb’s Choppa – Weapon (Handaxe), rare (requires attunement): You gain a +1 bonus to attack and damage rolls made with this magical weapon. Twice per day, you can cause the weapon to deliver a more powerful slice, dealing an additional 1d6 slashing damage after a successful strike which also dislodges a piece of the weapon into the targeted creature. The piece of shrapnel deals an additional 1d6 slashing damage on the next turn. Pieces dislodged this way reform after 24 hours, often in the form of jury-rigged scraps of metal attached to the blade. Boots of Deception – Wondrous item, rare (requires attunement): These boots always look distressed from a lifetime of use but never seem to rip or otherwise fall apart. While wearing these boots, you are able to magically silence or amplify your footsteps on any terrain. You are also able to choose to leave tracks, or not, on any terrain. This does not prevent you from being tracked by other means. Armor of Daylight’s Embrace – Armor (leather), rare: While wearing this armor, you gain resistance to necrotic damage. Additionally, you are immune to the charm ability of vampires. If you successfully grapple a vampire, you can activate the armor’s special ability. While a vampire is grappled by you, the armor deals 20 radiant damage every round, no save is granted. The vampire receives a -2 to their ability check to escape the grapple while you are wearing this armor. Suffocate (Necromancy 2nd level; Components – V, S; Casting – 1 action; Range – 25 feet, line of sight; Target – One creature; Duration – 1 round + 1 round per Spellcasting Ability modifier; Saving Throw – Constitution) By means of this spell, the caster can attempt to pull the oxygen from the target’s blood, essentially slowing suffocating them in the process. The target takes 2d4 necrotic damage per round on a failed Constitution saving throw. Creatures have disadvantage on all rolls while under the effects of this spell. Cast at a higher level – When this spell is cast using a 5th level spell slot, or above, the damage increases to 2d8 per round and you can increase the number of creatures affected by 1 for every spell slot used above 5th. Bloom (1st level transmutation; Casting Time: 1 action; Range: 30 ft; Components: V, S; Duration: Concentration, up to 1 hour) You can cause any flora that is capable of blooming to come into full bloom within 30 feet of your position. Any tree, bush, or flower that is capable of bearing edible food (fruit, nuts, etc. ), does so. Dead plants are not affected by this spell. Ingeareanea – From the deep jungle comes the Ingeareanea! This 125-foot tall spider was worshiped by Goblins who made their home deep in the jungle’s interior. For eons, it has lived and dined on sacrifices made by the Goblins, and in lean times, the Goblins themselves! Tonitrus Testudo – Often mistaken for a large island, the Tonitrus Testudo has been known to sleep for thousands of years. In those times, whole civilizations have lived and died on its enormous shell. When Tonitrus Testudo wakes, its hunger knows no bounds! Draconis Rex – Slumbering beneath an ancient volcano, Draconis Rex is whispered about in hushed tones by the primitive villagers who live on the volcano’s slopes, as if hearing its name would wake the terrible monster. Placated in ancient times with blood sacrifices, it is said Draconis Rex is pleased with offerings of man-flesh, as well as bejeweled valuables and powerful magical items. This pledge level is for returning backers. If you backed Manastorm: World of Shin’ar, and you are interested in this project, please choose this level. You will also receive a mention in the book’s acknowledgements section. To build customer loyalty, Terran Empire Publishing is offering a 25% discount to returning customers. If you backed their prior Kickstarter for Manastorm: World of Shin’ar, you are eligible for this discounted backer tier. This is a nice thank you, one that I like better than the early bird specials so common with Kickstarters because this one rewards patronage. Terran Empire Publishing is building an empire the right way and you should consider joining it. This crowdfunding campaign ends on Thursday, November 15 2018 7:05 PM EST. You can support this Kickstarter campaign here. Ends on Wed, November 14 2018 10:00 PM EST. “The Savage Worlds game system from Pinnacle in an all-new Adventure Edition, ready to power any game of your design! The new Adventure Edition of the best-selling, multiple-award-winning “Fast! Furious! Fun!” Savage Worlds Roleplaying Game! We’ve taken everything we’ve learned over the last 15 years...all the feedback you’ve given us via our forums, social media, store, convention, and personal play…to make it faster, more furious, and more fun! We’re especially proud that this version combines the tactical nature of the original system with the best elements of narrative play. Every aspect of the game has been reviewed and playtested, from all new Chase rules to Setting Rules, Edges & Hindrances, character creation, powers, creatures, and more. This is also the most beautiful version of the game we’ve ever done, with full-color chapter headers and interior pages by incredibly talented artists from all over the world. For the first time ever we’ve also got a deluxe box of all the essential accessories players and Game Masters ask for…a brand new Oversize Action Deck, official Savage Worlds Bennies, dice, GM screen, Power and Status Cards, and more! Eight official translation partners (French, German, Korean, Italian, Polish, Portuguese, Russian, and Spanish) producing the core rules and Pinnacle’s Savage Settings in their native languages. More than a hundred officially licensed companies creating everything from adventures to settings to monsters and villains! Thousands of fan-licensed products available on the Internet for free! Official Pinnacle licensed settings include Flash Gordon™, The Sixth Gun™, Lankhmar, The Goon™, and Palladium’s Rifts®! Original settings include the award-winning Deadlands, Weird Wars, Rippers, East Texas University, The Last Parsec, 50 Fathoms, Necessary Evil and MANY MORE! Licensed settings for Savage Worlds! Just a few of our many original settings! From the high seas to the farthest reaches of space. 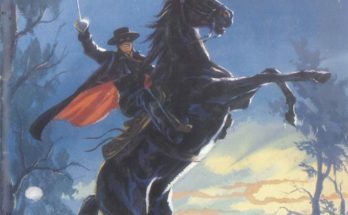 From undead cowboys of the Weird West to the harried soldiers of Vietnam. From the forests of Weird Wars: Rome to the post-apocalyptic wastelands of Deadlands: Hell on Earth. 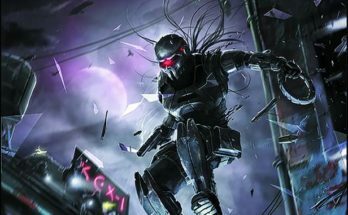 Savage Worlds handles pulp action, gritty noir, supers, hard sci-fi, space opera, horror, and anything you can imagine! Savage Worlds hasn’t changed much since it was first released in 2003, but there have been a few significant changes. 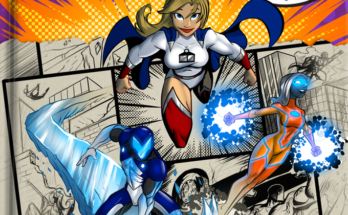 It was also time to update our graphic design, art, and size to match our current graphic novel format and showcase the incredible artists who have come on board since we began. With any new printing we try to make things better, and the Adventure Edition received the same treatment. We’ve been listening—literally—to tens of thousands of players and Game Masters from all over the world for more than a decade. Shane Hensley, Clint Black, and the rest of the Pinnacle team have gathered and discussed the points they’ve raised for years and slowly but surely gathered them into this new Adventure Edition… faster, more furious, and more fun… thanks to YOU! Previously released products are 100% playable with the Savage Worlds Deluxe core rules you may already own. For backwards compatibility, a simple conversion guide will be made available to download for free to update from Savage Worlds Deluxe to Savage Worlds Adventure Edition. Here’s a brief look at what to expect in the Adventure Edition! Tricks and Tests of Will are now combined into the much simpler Tests. Wanna throw sand in your foe’s eyes or baffle him with scientific mumbo-jumbo? YOU choose the skill, the foe tries to resist, and if successful, he’s Distracted or Vulnerable until the end of his next action (and Shaken with a raise!). Work with your companions to set up the most powerful foes and see just how effective your teamwork can be! Wanna help your friends? The new Support rule replaces Cooperative Rolls, letting players easily and creatively use any skill that makes sense to increase your allies’ totals! So long to…Charisma! All of Charisma’s effects are now rolled into their specific Edges or Hindrances, creating more diverse and interesting effects and making their use far more clear. Repeat actions! Previous versions of the game didn’t allow you to take the same action twice. Now you can take up to three actions in a round at a standard “Multi-Action” penalty. Want to cast two or even three spells on your turn? Go for it! Want to fire your blaster at three different zombie aliens? It’s in there too! New Suppressive Fire rules make it much simpler, faster, and effective to keep your enemies’ heads down. Completely new Chase rules built to handle everything from battles between fleets of massive starships to foot chases through crowded city streets! And a host of small but important tweaks to everything from Edges & Hindrances to Encumbrance, gear, powers, Setting Rules, and more! The game is highly compatible with previous editions. If a character has an Edge or Hindrance, for example, just look it up in the new edition and use that. Some rules are just more clear, like what constitutes an action, the difference between a round or a turn, or what a bonus applies to. Other rules are just new and won’t affect anything that’s come before, like being able to draw a new Action Card by spending a Benny! We’ll also be issuing a free conversion guide for those who want to be a bit more exact, so all your previous settings and adventures should be easy to run and play with only an occasional change. Have you tried Pinnacle Entertainment Group’s Savage Worlds? If so, you know it’s one of the most versatile RPG systems available (and cheap, too). Their engine works well with licensed settings like Flash Gordon™, The Sixth Gun™, Lankhmar, The Goon™, and Palladium’s Rifts® as well as a variety of third-party settings that touch on every genre. This Kickstarter offers the latest edition of the game adding some of the concepts demoed in their Flash Gordon RPG, which I was able to play at Gen Con 2018. Flash Gordon RPG for Savage Worlds moves faster than the current version of Savage Worlds and fits the setting perfectly. Based on my experiences plus Pinnacles’ track record, the new Savage Worlds Adventure Edition is going to amplify an already excellent system. Every day of the campaign they’re adding more freebies. This is an excellent system with a variety of free extras included, check out this Kickstarter. You can find examples of the Savage Worlds system on the Open Gaming Store. This crowdfunding campaign ends on Wednesday, November 14 2018 10:00 PM EST. You can support this Kickstarter campaign here.